Type 7962 Clear Braided PVC Suction Hose is a heavy duty suction and discharge hose for applications where flexibility and visible product flow are desired. The embedded textile braid reinforcement allows for higher working pressure. The spiral corrugated cover allows for increased flexibility over smooth-cover hose or traditional wire-reinforced rubber hose. The bright orange corrugated helix also offers abrasion resistance and high-visibility for heavy traffic areas. 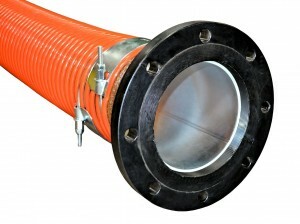 This hose is suitable for most general pumping applications including hydro / air excavation. This hose is often used in pipe relining / pipe inversion hose, as well as for fish suction hose. A white helix is available for FDA approved applications. 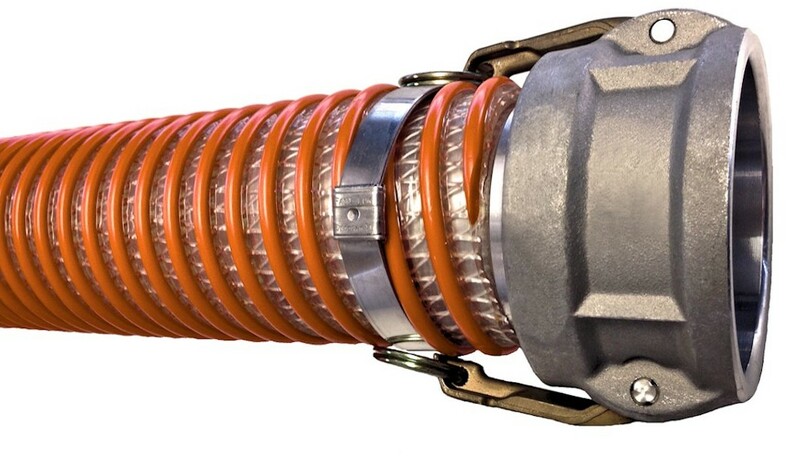 A heavier grade hose specially designed for fish suction can be offered in 10 & 12 inch diameter, with or without textile braid.